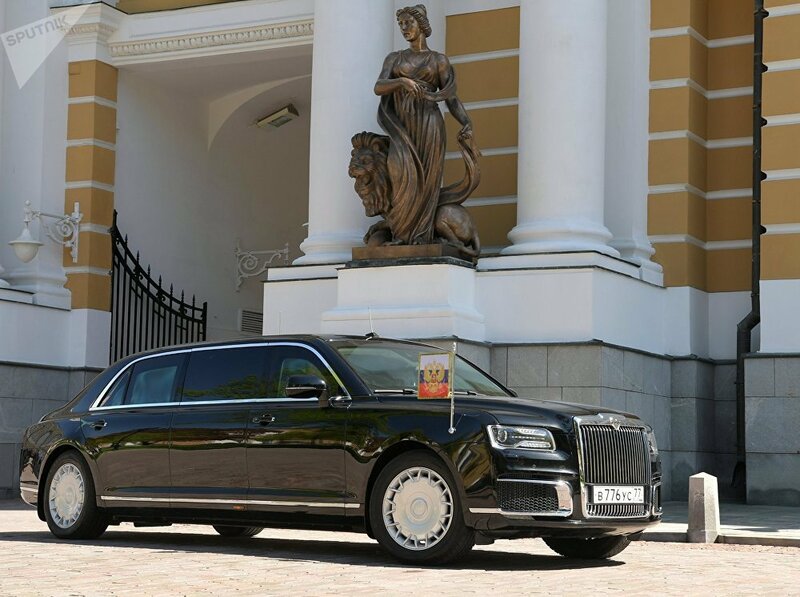 President Putin, inaugurated for a fourth term on Monday, drove the estimated 200m distance from the Kremlin's Senate building to Andreevsky Hall in the brand new Russian-made extended wheelbase limo, rather than his traditional Mercedes S600 Pullman. 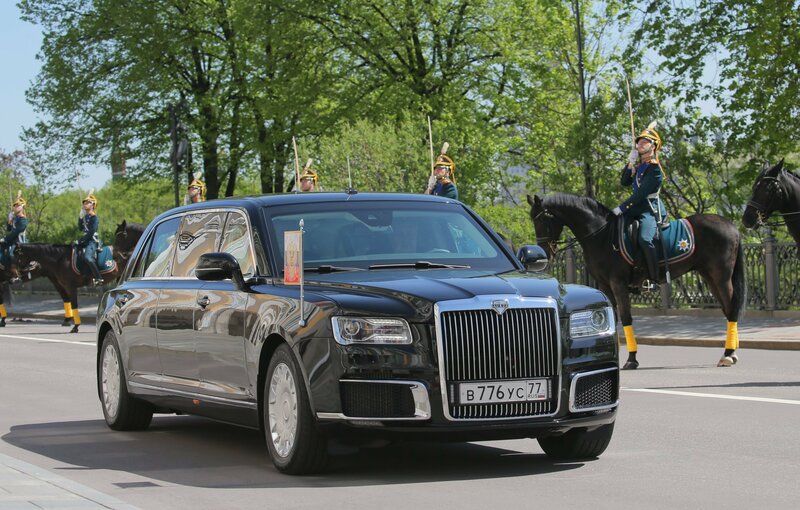 During the ceremony, the new limousine could be seen driving through the Kremlin accompanied by nine motorcycle outriders, easily swallowing up light bumps in the road. 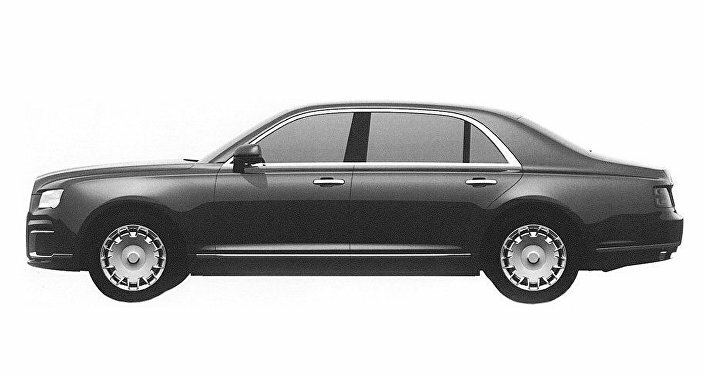 The vehicle, painted a traditional presidential black, features a large square-shaped chrome grille, rectangular headlights, chrome accents along its windows and rocker panels, an understated rear, and flashing lights emanating from near the license plate. The promised premier of the new vehicle for the presidential inauguration ceremony was thought to have been put on hold late last month after minister of industry and trade Denis Manturov told Russian media that Putin may not use the new vehicle during the ceremony after all. In any case, Manturov promised that the vehicle would be ready for the inauguration, adding that the Special Purpose Garage, a Federal Protective Service detachment responsible for carrying high-level officials, was receiving the new vehicles in accordance earlier agreed deadlines. Project Kortezh, officially called the 'Unified Modular Platform', envisions the creation of a family of luxury vehicles, including a limousine, sedan and minivan, based on a single platform. 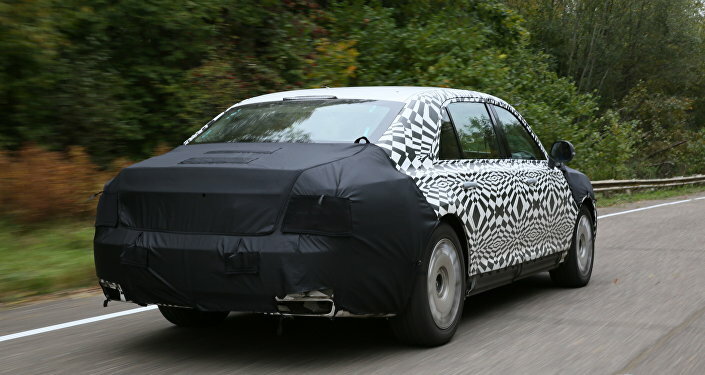 The vehicles, developed by the NAMI State Research Center in cooperation with automotive holding company Sollers, are expected to be marketed under the 'Aurus' brand (a blend of the Latin word Aurum, i.e. 'Gold' – and Rus, Russia). © Photo : Trung tâm khoa học quốc gia "NAMI"
Putin's new ride is the first domestically produced vehicle design for a Russian head of state since 1985, when Soviet leader Mikhail Gorbachev was provided with the Zil-41052, a modernization of the Zil-4104 design created in the late 1970s. Gorbachev rejected the Zil-4102, a Cadillac-like design presented to him in the late 1980s, amid concerns that his wife Raisa didn't like it. Russian President Boris Yeltsin continued to use the Zil-41052 until 1995, when he switched over to an armored Mercedes S-Class, ostensibly out of cost of operation considerations. Presidents Putin and Medvedev continued the tradition of using the German luxury vehicles. Development of the Kortezh began in 2012, with $197 million invested in the project as of late 2017. In addition to deliveries for top state officials, the vehicles are expected to be made available for sale to the public in small quantities of 250-300 per year starting in 2019, selling between $95,500 and $111,500 apiece. In the Russian automotive world, the Kortezh is envisioned as the rebirth of the country's long-dormant luxury vehicle industry.